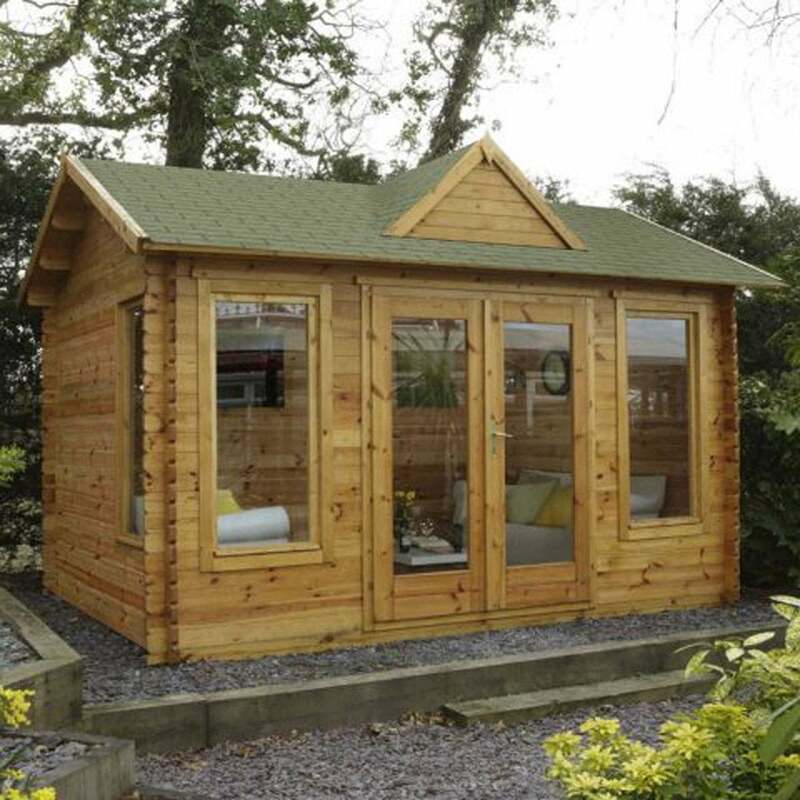 Forest Garden Alderley Log Cabin 4.0m x 3.0m: The Alderley Log Cabin by Forest Garden comes in this attractive design with a stunning dormer roof feature and roof shingles, guaranteed to make a wonderful addition to your garden. The 3.0m x 3.0m Log Cabin feature three large single glazed windows, two at the front and one at the side to create a spacious and light interior with an opening feature to allow for greater air ventilation. The Alderley Log Cabin is manufactured from 34mm slow grown Nordic Spruce for a high quality and smooth planed finish. The precision engineered logs are machined with chalet cut corners, a joint with a 6 sided profile which provides maximum resilience and stability against the elements.